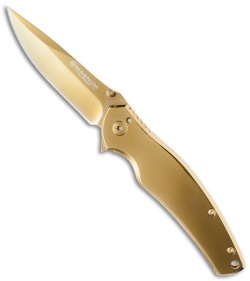 The Gold Finger from Boker's Magnum line is the perfect knife for anyone who loves flashy tools. 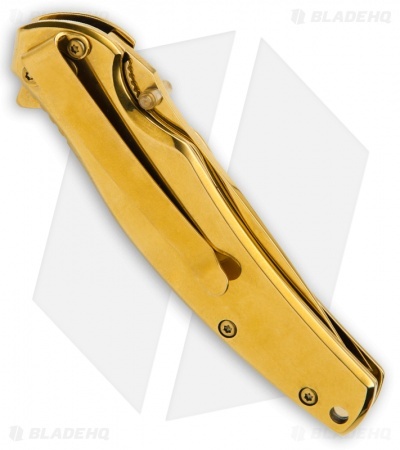 The 440 stainless steel blade, the frame lock, stainless steel handles, and even the pocket clip are anodized gold. 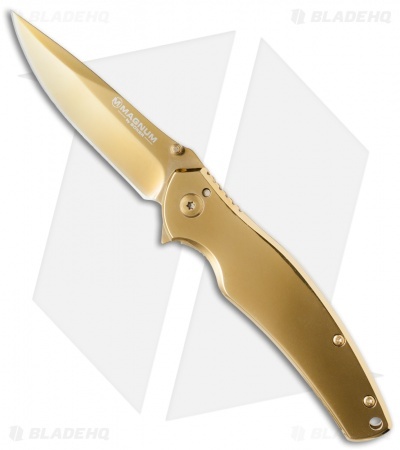 The knife also features a lanyard hole.